This morning, I had a choice: wake up and run outside at 4:00 a.m., or run later in the day on the dreadmill. Jerry is back to working days, and with the kids home from school, I have to run outside before he goes to work or I can do it on the dreadmill whenever I feel like. It was a tough choice! Neither option was appealing, but I ultimately decided on the dreadmill. There was no way I wanted to crawl out of bed at 4:00 this morning. Instead, I slept until 7:00, and then set up my computer to watch The Bachelorette while I was running. The 30-second sprints went by so quickly it was like they didn't even happen. Of course, running on the dreadmill is boring, but watching all the drama unfold on The Bachelorette helped pass the time. When I was done running, I made a fruit salad. It's funny, my kids always complain about eating fruit--unless it's all mixed together and called "fruit salad". Then they LOVE it, hahaha. Hey, whatever works. We had a little bit of the dessert left over, and I managed to keep it in the house without eating it. That's huge progress! It is extremely hard for me to keep ice cream in the house overnight. I didn't even eat it yesterday--the kids and I ate the rest today after lunch, and now it's gone. I feel bad that I didn't do anything for Jerry for Father's Day yesterday. I didn't buy a gift! I planned on it, but it just came up so fast and I've been pretty busy since school got out, so I didn't get him anything. I made him eggs for breakfast, and then I took the boys to church. After church, Jerry took the boys for a walk in the woods and I did my strength training (The Swing workout). The workout gets progressively harder, which is good--after the first couple of workouts, I thought maybe it was too easy. I didn't break a sweat at all. But the sets get closer together (less rest time) and there are more reps in each set. I was pretty sore when I woke up today. In the afternoon, my parents wanted us to go to a campground to go fishing. My dad has a little row boat that the kids can go in by themselves, and they think they are really cool. Eli spent most of the time working on catching a turtle on his fishing pole... and he did! Jerry and I stayed for a couple of hours and by then, I was starving for dinner. The kids still wanted to fish, so my parents stayed with them while Jerry and I went to Panera for dinner. I got a cup of black bean soup and half of a tomato and mozzarella panini. It was on ciabatta with fresh basil--sooo good that I actually took a picture after taking a bite. I'm definitely going to recreate this at home. I haven't mentioned this, because I'm not sure how it will play through... but I've been toying with the idea of becoming vegetarian. I've never been a huge fan of meat (I actually was a vegetarian for a year or so in college), and I've always said that if it weren't for my family, I would certainly be vegetarian. My boys love meat, so I've always cooked with it. Anyway, I'm not declaring anything for a while, but it's just something that's been on my mind lately. 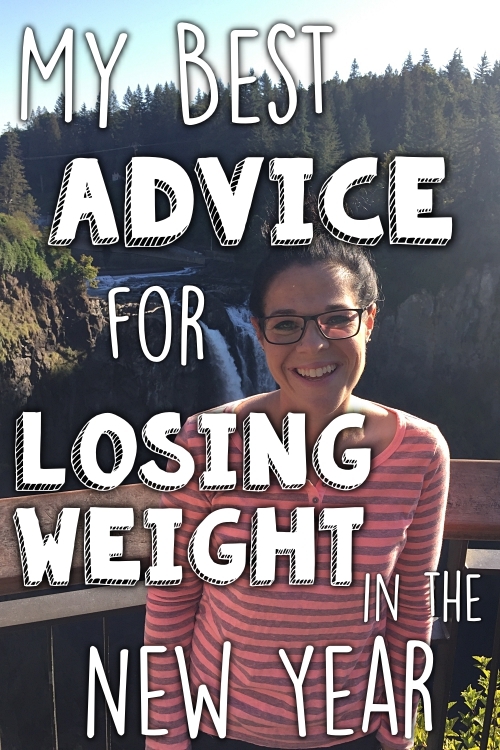 I recently did an interview for SkinnyMom.com if you'd like to check it out. You can find it here. Are you able to set your treadmill to change speeds for you? Or do you just change the speed yourself when it's time? I've been having a hard time when I have to change the speed on my treadmill, it just kinda messes with my flow...I'm in my own world and then suddenly I have to change the speed and I end up tripping all over myself trying to adjust the speed. So I'm just curious what you do. I manually change it with the one-touch buttons. The numbers 0-10 each have a button, so to go from 6 mph to 8 mph, all I have to do is press the number 8. I actually like changing speeds, because it helps with the boredom! I definitely think you should try out vegetarianism! There is a great website you should check out that has a ton of information on the vegetarian diet and how it can positively impact your performance as a runner. It is nomeatathlete dot com. Definitely keep us updated on your decision! That was actually the website that made me really start thinking seriously about making the change. I browsed that site for HOURS--very informative! I don't understand why people say things like this. I have actually never commented before but am now. Whoever wrote this should be ashamed...because probably Katie will feel awful after reading this (although you shouldn't, Katie, since you know your marriage and your husband and since this commenter is just trying to be mean). Why say something hurtful like this? I don't understand it. I don't think Katie needs to buy him a gift for him to have a good fathers day. As long as he knows she loves him and they had a good day together is enough I'm sure. Love shouldn't be measured with what someone can purchase for the other person. Clearly she felt bad about it, why make comments like these? Um, just to stir the pot, remember this post http://www.runsforcookies.com/2012/05/missing-journal.html? The battle of the anonymous commenters--love it. I can't see saying negative things on a blog. Mom always said if you can't say nothing nice, don't say nothing at all. I know you do millions of things for Jerry every single day, things he probably isn't even aware of a lot of times. I know my hubby depends on me for stuff he doesn't even realize--like when his soap runs out (he uses a bar, I use body wash), I make sure a new bar is in the shower, same with his shampoo, and I also make sure to buy all his personal care products when they run out--he doesn't even remind me. I put his pills in his pill container eery week, and sometimes I wonder how he would cope if I was gone. I can tell you & Jerry are a perfect match, and like I said in my comment below--the fact he got to spend the day with his family is all any dad would ask for on Father's Day! Congrats on day 1 of marathon training - and nice work speedy! I like meat but I have to admit that I'm kind of enjoying my vegetarian meals. While I don't think I'd want to never have a piece of chicken, or a great steak again I think I could be one 90% of the time if I were on my own. I've been trying to think of something that I would really miss terribly if I were to go vegetarian, but I can't seem to think of anything! Probably just chicken broth--I make a lot of soup, and vegetable broth just isn't the same. I get most of my lunch ideas from those blogs. I have never eaten at panera before, that sandwich looks awesome!! Ick! The tendons and veins would certainly make the decision for me ;) Actually, that's the reason I don't enjoy meat very much as it is. I just find it gross! I have to cut off every single visible piece of tendon or vein, and even then, I like to mix the meat into a casserole or something so I don't have to see it. That fruit salad looks delish! *now running....not 'not' running. lol oops! I also watched the Lifetime movie because Katie mentioned it. I was very disappointed. If you like to read, I recommend the book On the Island by Tracey Garvis-Graves. I was a skeptic, but this book moved me. Loved it! And reminded my of my beloved Blue Lagoon with the whole deserted island theme. Didn't see the second one, might have to check it out. Ernie, that is AWESOME about the running!! I'm so excited for you. I was hugely disappointed in The Blue Lagoon. I expect Lifetime movies to be a little cheesy, but this one was VERY corny and predictable. Lori, I've been looking for a good book to read. I think I may check that out! I just finished that book too...loved it! If you don't like other mushrooms, you probably won't like the portobellos. I LOVE mushrooms! The caps are kind of meat-like in texture, which is why I substituted that for steak. I marinated them, but I wasn't crazy about the marinade I used--next time I'll try something else. 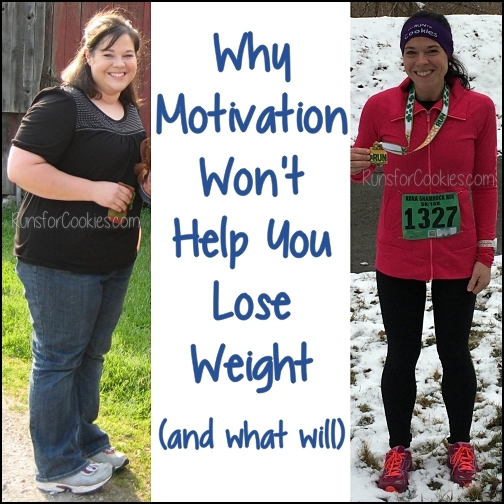 Thank you for blogging about your weight loss and running, it has inspired me to do the same! I've hated running my whole life but I'm learning that it is really good for my body. 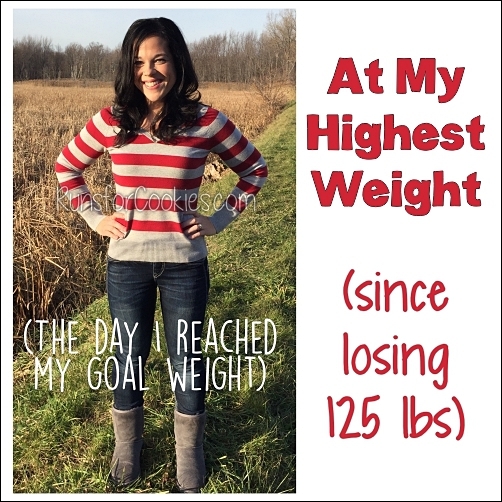 I've only lost 10 lbs. so far and can only run for 15 min. straight, but that's better than I was 4 weeks ago! That's great! You will be shocked at how your body improves with training. And "only" 10 pounds? Ten pounds is fantastic!! This is my first comment! 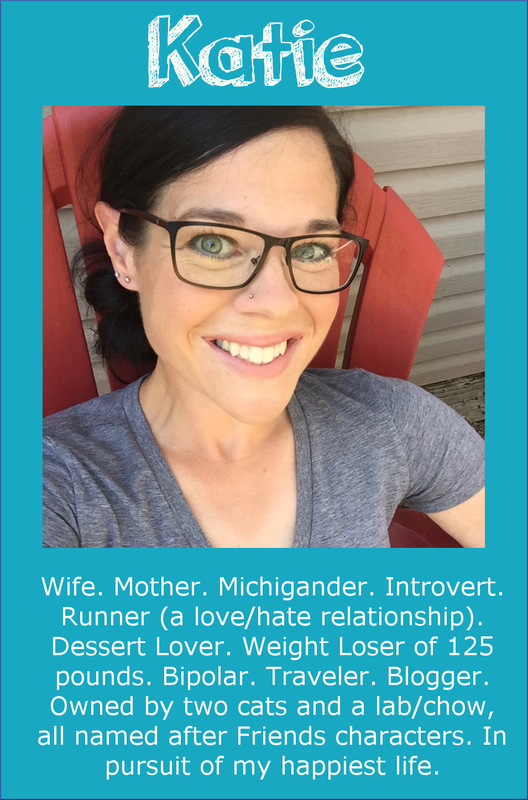 I have been reading for awhile now and you have inspired me to run my first 5K. I ran the color run in Chicago which wasnt a timed event but it was a good start! I actually had so much fun that I am running it again in a different city. 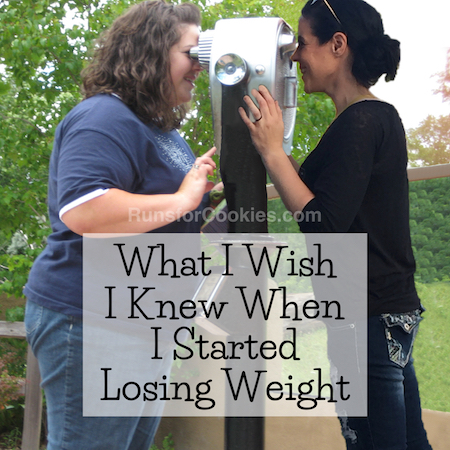 Your blog has inspired me to get in shape and live a healthier lifestyle. PS- tomato and mozzerella on ciabatta is my favorite sandwich at Panera. YUM! I've heard the Color Run is a really fun event--congrats on your first 5K! One of my favorite lunches: sliced tomato on my double fiber whole wheat bread with balsamic vinegar drizzled over it, then pop it in the toaster oven for a little while. Sometimes I add provolone cheese. I have a panini maker but it's a pain to clean. If you're thinking of ever getting one, get the kind that the plates remove, like George Foreman. But putting the sandwich in the pan, laying a piece of foil over it then putting a heavy pot on top works just as well! I got rid of my George Foreman grill a while ago, but I used to make sandwiches in it. After eating this panini, I wish I still had the grill! I would love to try going vegetarian. My (live in) boyfriend LOVES meat, like won't even eat a veggie lasagna, so I think it would be incredibly hard to avoid it and would take a lot of preparation. Perhaps it's something I could try for a week to see how it goes. It is hard when the whole family isn't on board. I'm going to experiment and see how it goes. I'll probably cook a vegetarian dish with "sides" of meat for my boys (and Jerry). Hi! I've been a silent reader for about 2 years. I'm a vegetarian and have been since March of last year. I had done it in high school for 2 years but went back. I recently stopped eating seafood around April. The thing that is hardest for me is I'm trying to build muscle, tone up, and lose weight (~30 lbs). I find it hard to get enough protein in my diet (even with protein shakes). Its also hard for me not to eat too many carbs. I'm getting better though. Bought Tosco Reno's vegetarian cookbook which is helpful, and find recipes all over. My boyfriend is very supportive and tries everything with me. So long story short, I personally find it difficult to lose weight/maintain because of the carbs thing but it is an amazing feeling. Also, a great book I just read about vegetarianism is called Eating Animals by Jonathan Safran Foer. It is a very interesting book giving you all sides of the spectrum (less judgemental). Sorry this is so long. Thanks! Just realized I have a fridge full of fruit--I think I have everything that you pictured in your fruit salad--so it's what we're having for dinner tonight, along with the stroganoff I just put in the crockpot. YUM! Yesterday I had to get my car licensed and didn't get home (I also went to the Mall and just walked around--it's cooler to walk in there than outside in the heat) until 2, and decided that was kinda late to be eating much for lunch. We eat supper early too. So I grabbed a peach from the fridge, then ate a banana and an orange. It was good, although not terribly filling. I celebrated with some strawberry shortcake after supper. I could never be a vegetarian--I love meat way too much. But good luck. I think with your tastes leaning that way anyway, you could do it easily. It is hard, though, when you have to cook for others. Don't get me wrong, I'm glad I have hubby and son to cook for, but sometimes I think of all the healthier stuff I could eat if I was just cooking for myself. And...yes I could cook that stuff for me, and cook the other stuff for them, but I don't have THAT much willpower. I would be eating their stuff anyway, so might as well continue making only that, and just try to limit my portion size. I can tell what a relief it is for you to be back on your schedule for running. You are so driven, I wish I had some of that in me. Eli is adorable in that picture. It sounds to me like Jerry had a perfect Father's Day. I think, more than anything, Dads just want to spend time with their families on their special day. I know that's all I wanted on Mother's Day. Katie, good for you for being an HONEST AND NOT-ALWAYS-PERFECT HUMAN BEING! I can totally relate to you! I think it's funny too that someone gets up the "guts" to post a negative comment but can't even own it with their name. :) Moving on! You continue to inspire me! Do you use your Garmin on the dreadmill? Was wondering how you got your splits to be so spot-on. 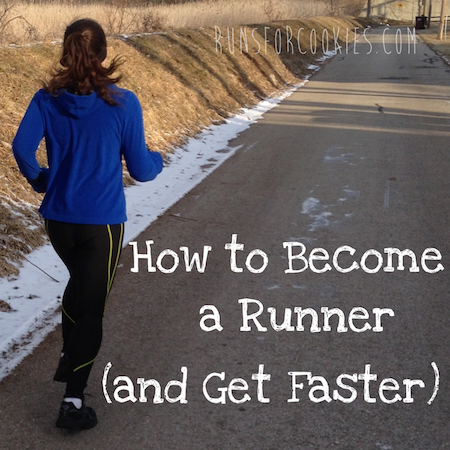 I am in the thick of my marathon training (working towards 50 by age 50) and your blog is part of my daily regimen! Thanks for keeping it real and always a great read. That fruit salad looks great, too!! I've been a vegetarian since I was about 7 years old. I order the exact same thing when I go to Panera haha! Only I would have ordered the biggest the sandwich came! I have to cook separate meals for my family too. My husband is a carnivore and my kids really like meat too. bleh! I had a similar running problem this morning except I couldn't get up to run at seven. I ended up taking my kids to the high school track where they chased eachother on the bleachers and I ran intervals. I have a feeling that was a one-time thing though! 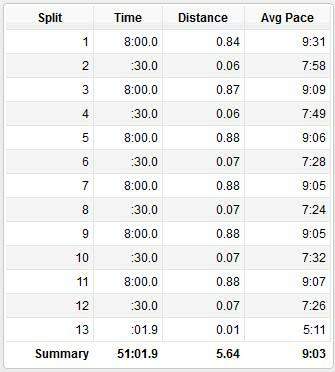 how do you do an easy run so fast? I don't know how to run faster. my average speed is between 13-14 min miles. sorry - I read your faq's!